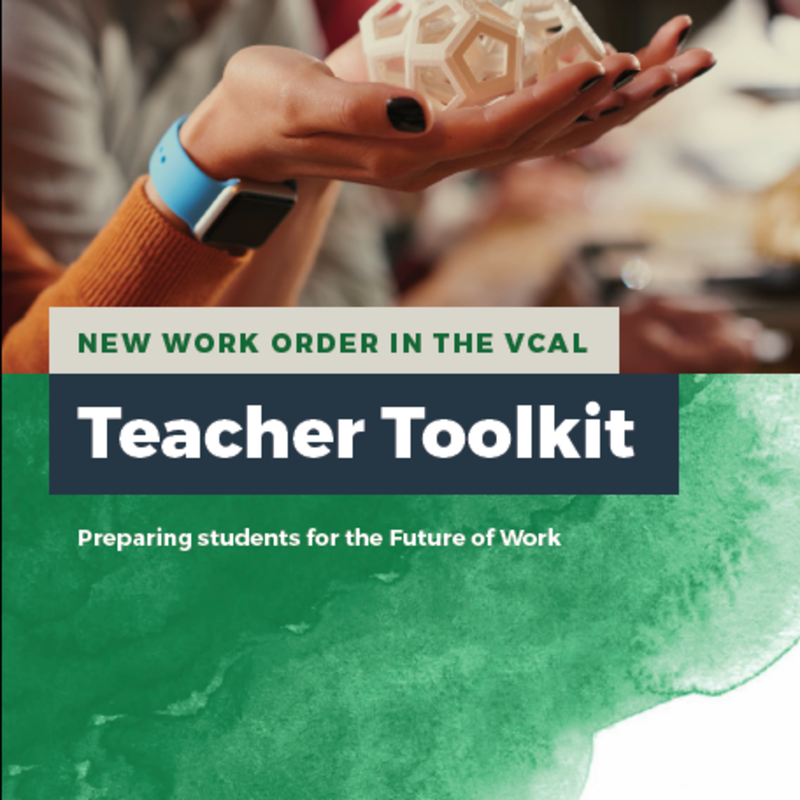 Designed to support educators in facilitating immersive, meaningful learning experiences that build students’ skills and capacity beyond the classroom, the toolkit is mapped to the VCAL curriculum and can be customised to fit varied contexts and timeframes. Containing five learning modules, the 27 individual lessons are based on insights and recommendations from FYA’s New Work Order report series. Tracey Seach, VCAL Coordinator and SMR VCAL Liaison Teacher, Parkdale Secondary College. The Foundation for Young Australians, in partnership with the Bayside Glen Eira Kingston Local Learning and Employment Network has launched an innovative new toolkit for VCAL educators and their students. Designed to support educators in facilitating immersive, meaningful learning experiences that build students’ skills and capacity beyond the classroom, the toolkit is mapped to the VCAL curriculum and can be customised to fit varied contexts and timeframes. Split into five learning modules, the resources and modules is based on insights and recommendations from FYA’s New Work Order report series. Each of the modules has been developed through a codesign process involving VCAL students, teachers and other community stakeholders who work with and for young people in VCAL environments. The toolkit aims to help students to build the skills and capabilities they will need to thrive in a changing world of work, where every job will be transformed by automation. In particular students will be supported to build the skills that enable them to be enterprising including creativity and innovation; confidence and agency; digital and financial literacy; critical thinking and problem solving skills; and communication and teamwork. With practical, project-based learning resources, the toolkit supports students’ individual interests and abilities, allowing them to learn at their own pace and track their progress.